This set is all about mastering your underwaters (aka: the 5th stroke)! Primarily used with the Evo quick-tempo monofin, we’re going to focus on speed and power to maximize the time underwater. 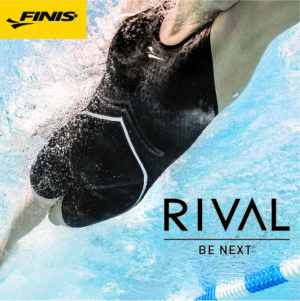 Meg Bailey is heading home after Winter Nationals with her new Funkita swimwear contract. Upping the InZanity: Grothe is Getting Faster! This is Zane Grothe’s favorite set and he dropped a total of 23 seconds off of it from one year ago! I have been directly involved with college recruiting for the past 35 years… Needless to say, I have seen some significant changes in the recruiting process over this time. There are probably 50 or more good candidates for the top 5 spots, but this is my list. As far as the elite swimmers go, here is my top five list, which includes nine swimmers. Over the past few years, we’ve seen more and more of Ryan Lochte in the news. Asides from being a multiple Olympic medalist, Ryan’s hit major headlines for some good, some bad, and some very interesting decisions. This set can be tailored for any distance of IM Training. The focus here is quality – if quality in technique and transitions begins to slide, take the time to pause workout and refocus on the essentials. One of the coolest things about Commit Swimming is how easy it is to invite and collaborate with your coaching staff. 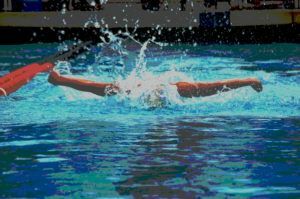 This spin turn enables the swimmer to shorten his or her diameter slightly by tucking the knees under the chest more than with the vertical turns of the past. The result is an incredibly quick turn-around.